This fresh healthy salad is great on a summer day. 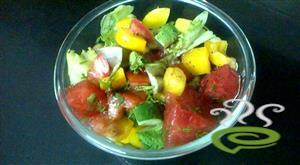 The cool and crisp mediterranean flavors, along with watermelon, will help to cool you down and re-energize your body. This is the best treat for this summer.